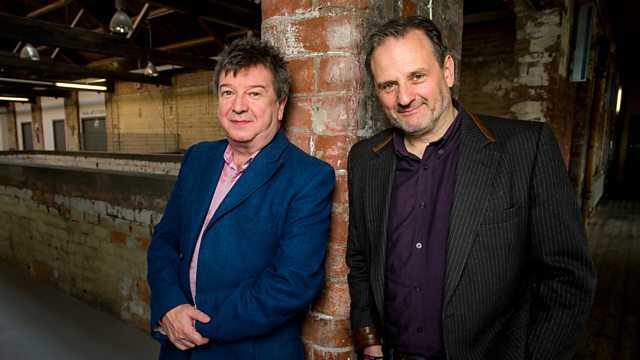 Mark Radcliffe and Stuart Maconie host a New York music special, with lots of top tunes from the Big Apple. Ahead of 6 Music's weekend celebrating the music, culture and sounds of the city, Mark and Stuart host a New York music special. With lots of top tunes from the Big Apple including Vampire Weekend, Talking Heads, Indeep, Grandmaster Flash, The Shirts, Odyssey and Joan As Police Woman. Regular daily features Teatime Themetime and The Chain - where you pick a track to follow the one before - also have an NYC flavour. Plus Clare Crane is here with the Music News too. Reunited (25 Years Of Polydor Funk). Million Sellers Vol.17 - The Seventie.